Cannabidiol (CBD) CBD has tremendous medical potential. 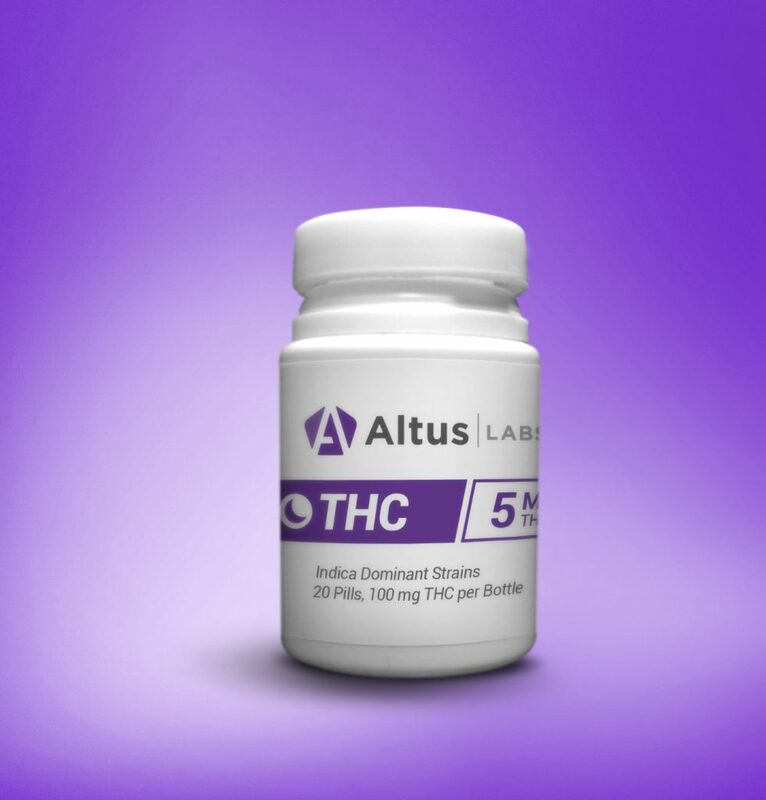 There is data pointing to the need to have both CBD and THC present for optimal therapeutic effect. Research is currently being conducted to determine these optimal ratios. These CBD pills contain THC & other minor cannabinoids. They are non-psychoactive, relaxing, and relieving. Each bottle consists of ten 10mg pills (100mg). Indica -Though there are some exceptions to the rule, indica varieties are shorter plants which mature more quickly. 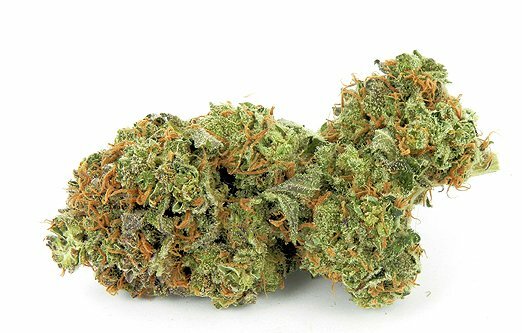 When inhaled, indica varieties can be extremely sedative and relaxing. These effects can be amplified when ingested. They provide a euphoric, relaxing and sedative feeling. Each bottle contains twenty 5mg pills (100mg). Sativa – These varieties evolved in the equatorial areas of the world. Sativa varieties grow tall and longer time to mature. 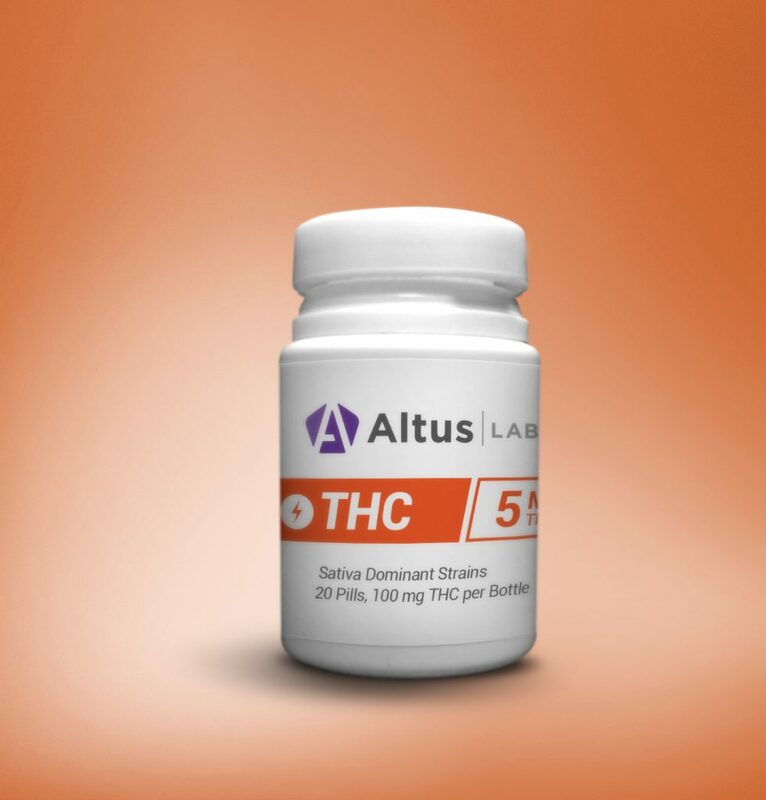 When inhaled, sativa strain varieties tend to give what is described as a “head high”. However, when ingested, both a body and head high have been described. They provide a euphoric, relaxing, and uplifting feeling. Each bottle contains twenty 5mg pills (100mg).